Stand out from the crowd and maximise your brand exposure with our eye catching Sky Banner, perfect for exhibitions, street food traders and product promotions. A fully detachable banner frame with customised sky banner that attaches to both our 3m x 3m Aluminium Extreme 40 Series and 50 Series pop up gazebos. Each sky banner frame package comes complete with a printed banner section, and is available in either PVC coated material or PVC mesh material. 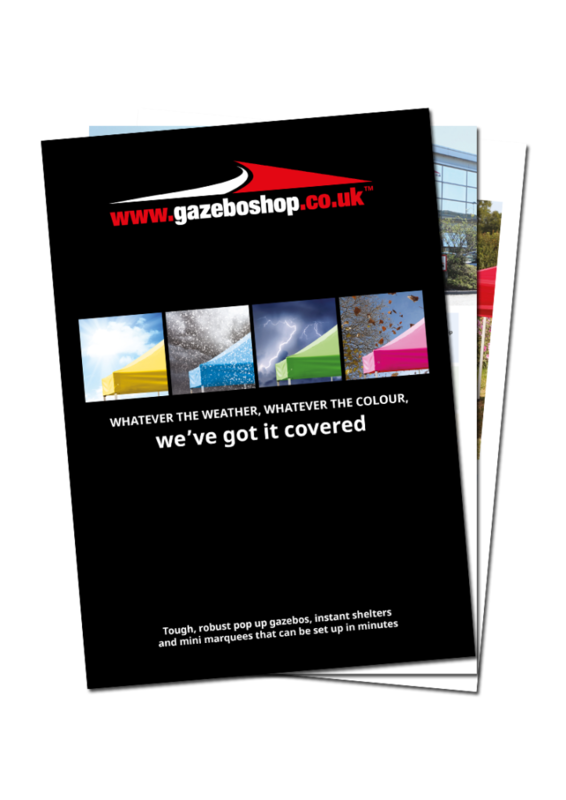 With dye sublimation, there are absolutely no limits on what you can print – we can print full size photos and match pantone colours. Benefitting from extra height, this eye catching sky banner stands tall and proud above standard folding tents, attracting attention from further afield! 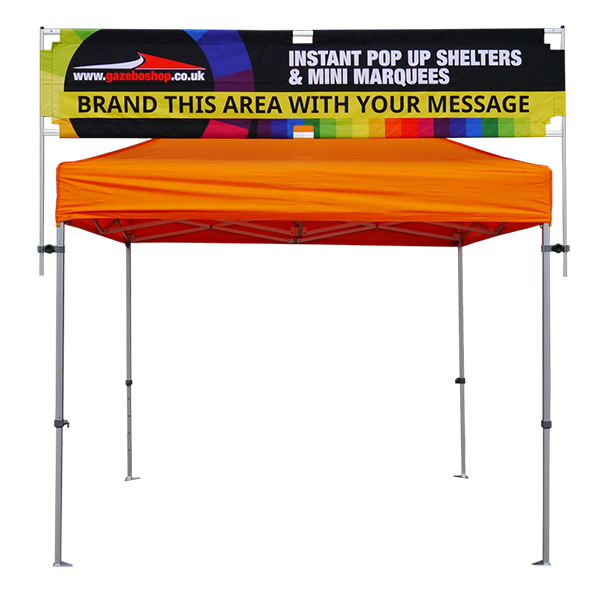 It also extends the promotional area of your pop up gazebo, giving you maximum visual impact and exposure at promotional events. 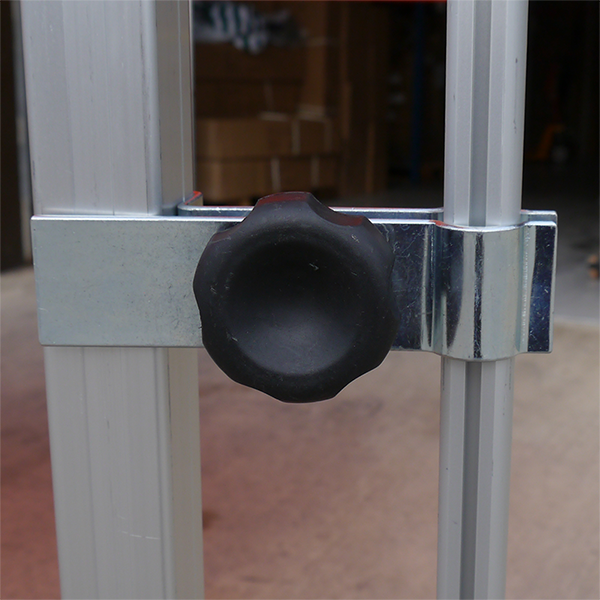 Sky banner supplied with assembly kit and 2x gazebo banner clamps. To see your artwork mocked up on our 3m Sky Banner, please complete the form below. Don't forget to upload your artwork files!